At six months pregnant, I’d become incredibly agitated at night. No matter how tired I was, I just couldn’t get comfortable; when I would wake up in the morning, I would have such severe back pain that I couldn’t stand up. I’d wince and almost cry just walking to the bathroom. I couldn’t imagine surviving another three months with that type of suffering. Then, something completely changed my sleeping world – the Boppy Total Body Pillow. Boppy has become a household name with their signature feeding pillows that offer moms a comfortable way to nurse their baby. They’ve utilized that knowledge and experience to design the Boppy Total Body Pillow, which provides expectant moms comfort and support at night so they can get a good night’s rest. This pillow is the perfect size and shape; unlike a conventional pillow, the Total Body Pillow allows full support for my entire body. From my head, my developing belly, and my legs, this pillow provides the utmost comfort and relief. Both ends are firm and the middle breaks a little letting it curve in towards my body. Placing the lower part between my legs aligns my hips again and helps relieve all the added strain on my back. With a specific design for pregnant women, it provides support for my belly without the extra bulk. Since this pillow is shorter in length than most pregnancy body pillows, it is easier to change positions when I turn throughout the night. I get comfortable more quickly, fall asleep faster, and change positions less often throughout the night. It also comes with a soft Pima Cotton slipcover that can be washed easily and the pillow case can be changed without much of a hassle. Gone are my nights of tossing and turning, never to find relief. Gone are the mornings of crawling to the bathroom with my hands on my knees to take some of the pressure off of my back. The Total Body Pillow sells for $47.99, but it is worth its weight in gold. Peg Perego Sdraietta Melodia- The Rolls-Royce of Baby Bouncers! Mountain Mama – Expecting Adventure! This entry was posted in Babies, Baby Product Reviews, Baby Products, Maternity, Newborn, Newborn Products, Pregnancy, Pregnant, Uncategorized and tagged Babies, Baby, Baby Product Reviews, Baby Products, Boppy, Maternity, Newborn, Newborn Products, Pillow, Pregnancy, Pregnant by lesleycarter. Bookmark the permalink. My wife had this pillow. It was a great way to get her to stop using me as a pregnancy pillow and it helped her sleep better. Win. Win. I hope you continue to sleep well! Just like the one The Backup Plan! I’m glad you found something to get you comfy. Being pregnant can be really tough. Good night from Singapore & sleep well. Glad that you found that. Getting a good nights sleep is so important and this looks like it would really help! That was exactly how I felt before using the pillow. It made an amazing difference. Good luck with your pregnancy. That looks comfortable to sleep with even if you’re not pregnant! Thanks for all the great recommendations. I bought one of these when I was 5 months pregnant. I still use it when my back hurts, and my son is almost 2. Totally worth the money. It’s great to hear from others with experience. I think it will have a place in my bedroom for years to come. Happy Holidays and good luck with your family. I had one when I was pregnant too! its amazing! Good for you. I know what you mean. Believe it or not I learned to sleep on my belly when pregnant. It was a must or I couldn’t sleep. as a non-pregnant man… i would also like one of these. It might be too late to tell my co-worker; she’s due in about 3 weeks and sure could have used more sleep. I want this! Christmas present to myself? Yes. Oh my, yes. This is the best thing when you are pregnant. We forgot it at the hospital after I gave birth. I miss it. 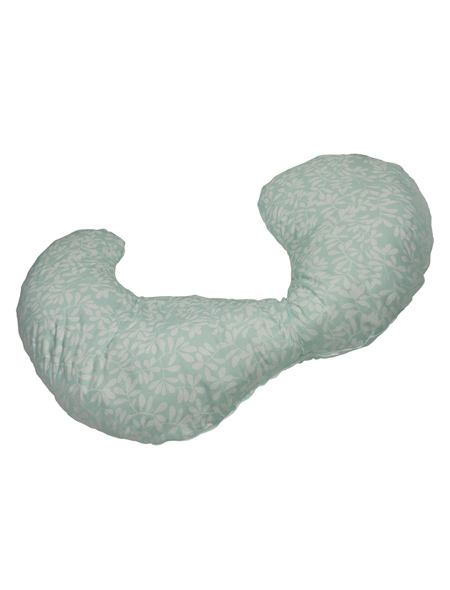 I saw this pillow on “The Backup Plan” and thought to myself or rather said out loud to my daughter where was this pillow when I was pregnant. Now I am starting to wonder can it work for non-pregnant women cuz I can’t sleep for NOTHING LATELY!!!!!! Oh how I wish they had these when I was pregnant. I’d shove towels under my belly for support because regular pillows couldn’t stand the pressure. I’ll pass on the info to others I know for sure. It would definitely be worth its weight in gold. 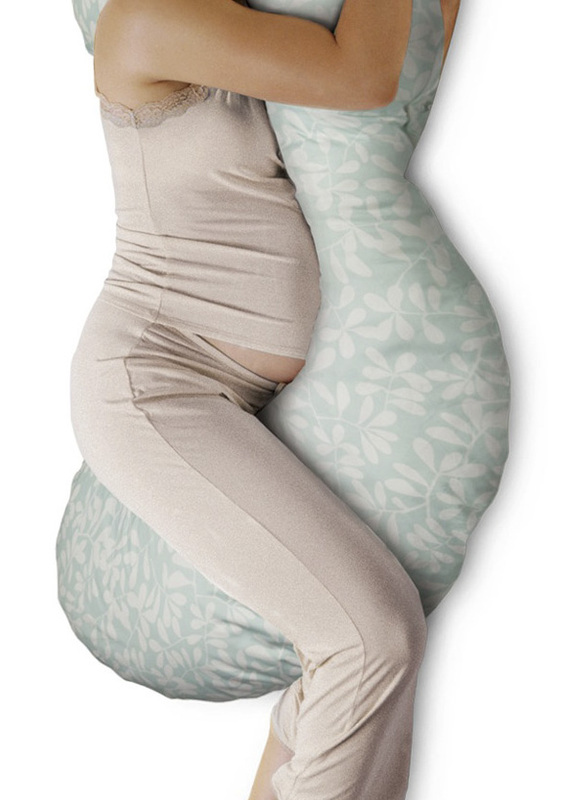 Is it weird that I want one of those pillows and I’m not even pregnant? Yes. Thanks for liking my recent posts btw! Do you know if you’re having a girl or a boy? We’re having a girl, at least if the ultrasound tech is correct. You? Do you have a name picked yet? What I would have given for this back in 1999! I used to sleep perfectly fine on my back, but after having 3 children, if I want to be truly comfortable, I’ll sleep on my side, cuddling my pillow. LOL! I could have used one of these when I was pregnant. I’m glad it’s making a difference for you! I wish I’d had one with my second child. I was a monster and couldn’t get comfortable in bed for five months. I did use a normal pillow but yours sounds better. Now that’s a pillow! I might even sleep with that and I’m not pregnant. Then my hubby might stop complaining about all the pillows I prop around me at night. I’m not nor have I ever been pregnant, but this looks amazingly comfortable! Definitely looks like a must-have for my future! So glad you found something to help you. When your back hurts or you aren’t getting adequate rest, it can make you miserable. I use a “Bean”….a 5′ long body pillow that is used much like you show in the photo. It really helps my back. After giving a regular Boppy pillow to a pregnant friend, I decided I’d like one for reading, doing the computer, etc!! I had the same pillow when I was pregnant last year. It was just about the only way that I was able to sleep in bed after about my fifth month or so. I hope it provides you with the same relief that it did for me. Thanks so much for visiting my blog. I’ll be sure to bookmark yours and visit often. Your article about the body pillow was very timely. A coworker is about 7 months pregnant and having a really difficult time getting comfortable. I’m going to send her a link and have her check out your post. All the best in your adventures! I think I may have to break down and buy this soon… I apparently try to use my fiancee as a pregnancy “pillow” by wrapping my arms and one of my legs around him at night while I’m DEAD asleep.. and apparently I fight back if he tries to make me stop using him as a pillow [: OR, at least that’s what he says…. which he’s told me this within the last two weeks more than twice… all I know is when I’m sleeping, right now i’m dead to the world.. I had something similar with both my pregnancies, and I couldn’t have made it through without them. Afterward, I passed it onto another pregnant mom, who greatly appreciated it. I’ve been reading your blog consistently, and I must say I’m really enjoying it. So much so that I have given you the Versatile Blogger Award (you can read details in my latest post). Feel free to do with it as you want. I am happy to share you with my blog readers and give you a bit of link love. (Although, from the amount of LIKES and comments your blog posts get, it appears you’re doing just fine on your own. And rightly so!) Cheers! You’ve sold me on it. 🙂 I don’t think I’ll need one of these any time soon but I’ll take note because you just never know. How do you find all these great things? That looks amazing and sooooo comfortable. I’m a purist – I like the straight body pillows. Lesley, thanks for stopping by! We’re in the same boat…when are you due? I’m due in March and I wouldn’t have been able to deal with the back pain without the pillow. It is worth the price a thousand times over. It would make a great Christmas gift from your husband 😉 Just point him in this direction. Ugh I wanted one of these SO BAD!….never got one though. Instead I had one pillow folded in between my knees (on my left side of course) and one under my belly between the large slope and the bed. I survived…not comfortably though. BTW, is there a pun intended with the worth its WEIGHT in gold? lol just an observation! I used to use several pillows in just that way when I was pregnant (5 daughters). In the last month or so, even that wasn’t enough. I ended up sleeping on the couch with my back up against the back of it and a pillow between my knees (had to have that or everything was pulled out of line). I hope your pregnancy goes well, and the delivery is easy. do you have any special plans for how you want that to go? The Body Boppy Pillow looks so much more comfortable than a regular body pillow. If you love Boppy, get the Baby Boppy Pillow and an extra cover. It was a life saver when I was too exhausted to sit up during late night feedings. Give your arms a little extra support and wrap the Baby Boppy around your waist. This is one item I wish every mother had the good fortune to purchase or receive as a shower gift. My son is now 16 months old and he still loves his Boppy, during the day he will be playing and I check in on him and I know when he is about to nap because he lays in his Boppy and chills out. Nice review, and best wishes for the remainder of your pregnancy and for a smooth delivery. I have every product that Boppy makes and I couldn’t be happier with them. They are one of the gems! Oh crap. I’ve had this pillow for months and I’ve hated it the whole time. That’s cause I’ve been using it completely incorrectly. I am the awesomest of all the dim crayons. My wife had one of these. It was off the chain! I ended up stealing it from her a bunch. Now we can’t find the thing. I think she busts it out when I’m sleeping or something.